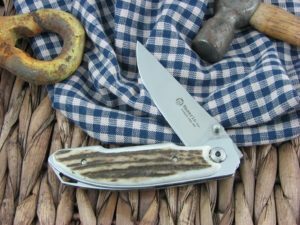 The Maserin Cutlery Arno model is a perfectly sized folder for dropping in the pocket. 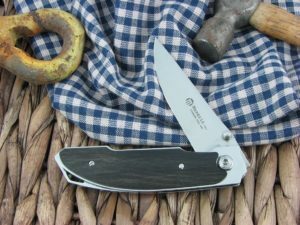 It also comes with a nice Italian leather pocket slip. 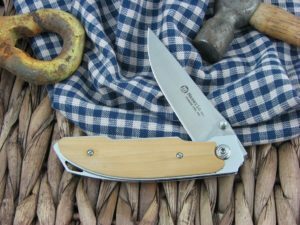 The Maserin Arno seems a bit like a crossover pattern with modern frame and traditional handle inserts for that warm in the hand feel.